“Each time that the pilots returned from their missions, they spoke of this Friar that appeared in the sky and diverted their airplanes, making them turn back. Everyone was talking about these incredible stories. But since the episodes kept recurring, the Commanding General of USAF General Nathan F. Twining, who happened to be in Bari, decided to pilot himself a squadron of bombers to destroy a target near San Giovanni Rotondo. When he and his pilots were in the vicinity of the target, they saw the figure of a monk with upraised hands appear in the sky. The bombs got loose from the plains falling in open areas, and the planes made a sharp turn to return to base without the pilots intervening. Back on the ground, everybody asked everybody else about the happening and wanted to know who was that friar. The General was told about Padre Pio and decided to visit him with the pilots in that squadron. 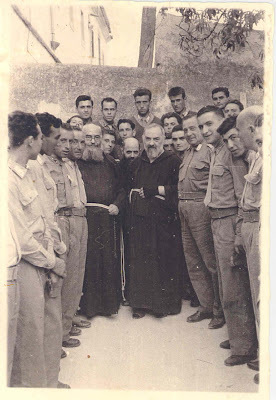 The pilots immediately recognized Padre Pio, and he told the general: ‘So you are the one that wanted to destroy everything. '” The general became a friend of Padre Pio. This entry was posted in Saints and Soldiers on September 29, 2013 by Cammy. In adulthood Cadoc refused to take charge of his father’s army, “preferring to fight for Christ”. He founded his first monastery at Llancarfan in the Vale of Glamorgan, and from there he went to Ireland to study for three years. Returning to Wales, he studied with Bachan, a teacher of rhetoric from Italy. He then travelled to Scotland where he founded a monastery at Cambuslang. Back at Llancarfan, his influence helped it to grow into one of the chief monasteries in South Wales. His Feast Day is September 25. In 1809, Napoleon issued a decree annexing Macerata as part of the French Empire. Despite orders from the French to have this decree read in all churches, Vincent refused. In a similar action, he also refused to provide the French with a list of all the men in his diocese who would be suitable for military service. In September 1808, Vincent was placed under arrest for refusing to take the oath of allegiance to the French invaders and was then exiled to Mantua. TOWARDS the end of the reign of Licinius, on a Friday, in September, in the year 642 from the death of Alexander the Great, that is, of Christ 318, a persecution was raised at Philippi, not the city so called in Macedon, which was at that time comprised in the empire of Constantine, but that called Philippopolis, anciently Eumolpias, in Thrace. Agrippa, the prefect, on a certain festival of Apollo, had commanded that the whole city should offer a great sacrifice with him. Theodota, who had been formerly a harlot, was accused of refusing to conform, and being called upon by the president, answered him, that she had indeed been a grievous sinner, but could not add sin to sin, nor defile herself with a sacrilegious sacrifice. Her constancy encouraged seven hundred and fifty men (who were, perhaps, some troop of soldiers) to step forth, and professing themselves Christians, to refuse to join in the sacrifice. The Lives of the Saints, Alban Butler Her Feast Day is September 29. …the faithful must also be encouraged to do outward acts of penance, both to keep their bodies under the strict control of reason and faith and to make amends for their own and other people’s sins. …It is right, too, to seek example and inspiration from the great Saints of the Church. Pure as they were, they inflicted such mortifications upon themselves as to leave us almost aghast with admiration. And as we contemplate their saintly heroism, shall not we be moved by God’s grace to impose on ourselves some voluntary sufferings and deprivations, we whose consciences are perhaps weighed down by so heavy a burden of guilt? He described it as “agony coupled with laughter,” and that’s often the vibe in the gym. Of course, the workouts themselves have an obvious likeness to boot camp. And, some of them are designated as “Hero Wods,” workouts that take their name from firefighters, cops and those in the military who had a connection to CrossFit and died in service…. When I started CrossFit, I was troubled by the hero wods. The prospect of doing pull-ups and push-ups to honor a dead American soldier struck me as suspect, if not morally bizarre. I got the idea: the intensity of the workout is meant as a sign of respect, and the small sacrifice you undergo in the workout is meant to venerate the ultimate sacrifice paid by the honoree. …our public rituals for reckoning with our dead, especially those who die in service to us, are insufficient. As our coach once put it, “During this workout, think about the fact that you’re not dead.” I got it and still I found doing a workout a strange way to memorialize a soldier. “We are debtors, then, my brother—but not to the flesh, so that we should live according to the flesh. If you live according to the flesh, you will die; but if by the Spirit you put to death the evil deeds of the body, you will live” (Rom.8:12-13). This entry was posted in Home to Roost / Police State, Military Culture (of Death) and tagged CrossFit on September 26, 2013 by Cammy. A poll of troops last year found that nearly one in 20 members of the Armed Forces said they had experienced violence or threats of violence. via Labour: new measures to make insulting military personnel a criminal offence – Telegraph. So the crime would be “attacking” military personnel, and I’m guessing that an “attack,” as defined in this law, will include both physical attacks and verbal “attacks.” If this weren’t the case, then existing laws against assault and battery would surely suffice. And who defines what kind of verbal expression is deemed “an attack”? Is an insult an “attack”? Is criticism an “attack”? Is a question an “attack”? Is a failure to stand up and say the Pledge of Allegiance (or whatever the equivalent is in the United Kingdom) and “attack” or an “insult”? Is this website an “attack”? Is it “insulting”? This entry was posted in Home to Roost / Police State on September 26, 2013 by Cammy. For your Wednesday. Hope it brings you some joy. This entry was posted in CAM jukebox on September 25, 2013 by Cammy. 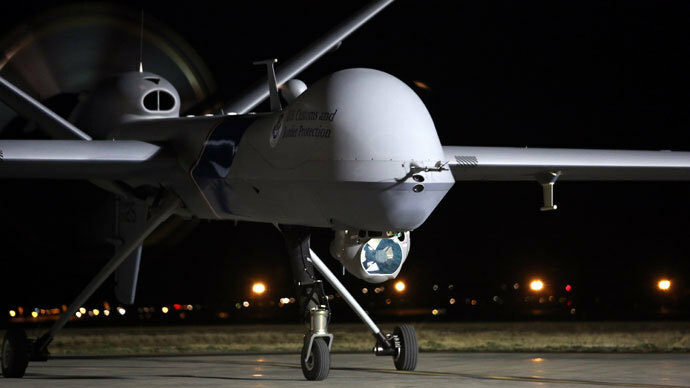 Russia Today reports on a new project by the London-based Bureau of Investigative Journalism called “Naming the Dead.” It seeks to name every person killed by US drones in Pakistan. Naming the dead is a work of mercy, I think, in an age such as this. I recommend following Josh Begley’s project on Twitter @Dronestream. He tweets every strike. This entry was posted in Just War on September 24, 2013 by Cammy. Pope cautions youth against selling themselves to ‘merchants of death’ :: Catholic News Agency (CNA). This entry was posted in Militarism and Christianity, Pope Francis and tagged Pope Francis on September 23, 2013 by Cammy. This entry was posted in Saints and Soldiers on September 23, 2013 by Cammy.